The primary care practitioner has the special and important responsibility to diagnose and manage patients with every category of ailment, injury and disease. This symposium will provide practical, evidence-based strategies to strengthen healthcare competencies. Expert faculty will explain recent advances in diagnosis, management and treatment and address compelling issues as they relate to managing cholesterol, adolescent medicine, common sports injuries, evaluation of abnormal menstrual bleeding and other women’s health concerns, atrial fibrillation, collagen vascular diseases, common eye problems, physician well-being, nutrition and fatty liver disease. • Other interested healthcare practitioners. 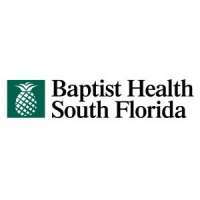 Baptist Health South Florida designates this educational activity for a maximum of 13 AMA PRA Category 1 Credits™. This activity has been approved for 13 credit hours by the Florida Boards of Medicine, Osteopathic Medicine, Psychology and the Florida Council of Physician Assistants. Successful completion of this CME activity enables the participant to earn up to 12.00 MOC points in the American Board of Internal Medicine’s (ABIM) Maintenance of Certification (MOC) program.